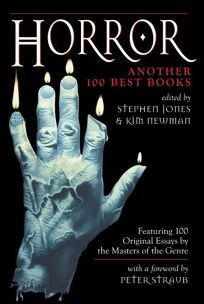 In this worthy sequel to Horror: 100 Best Books (1988), prolific anthologist Jones (Shadows Over Innsmouth) and novelist Newman (Anno Dracula) have gathered 100 appreciative short essays on landmark horror titles by today's top writers and critics in the genre, from Robert Silverberg on Cyril de Tourneur's The Revenger's Tragedy (1607) to Tim Lebbon on Michael Marshall Smith's More Tomorrow & Other Stories (2003). Any work that inspires fear was fair game for selection, as evidenced by entries on such classics as Charlotte Bronte's Jane Eyre, George Gissing's New Grub Street and George Orwell's 1984. Like its predecessor, this volume contains plenty of lively and candid commentary, such as British screenwriter Christopher Wicking's insider's view of the pitiful efforts to adapt H.P. Lovecraft to film in his piece on Lovecraft's The Case of Charles Dexter Ward. A foreword by Peter Straub, lists of recommended reading and a selected webliography round out a volume every serious horror fan will want to own.